Rock & Slow music for people who love to rock!! This is what makes a great rock & roll star: an irresistible riff a solo or jam that takes you higher every time you hear it, the final power chord that pins you to the wall and makes say “Encore” again and again. Every song he has “thrills”. But these are greatest guitar moments because of what’s inside the notes: hunger, fury, despair and joy, often all at once, and rockabilly that came before, transormed The guitar is still his essential with his liberating voice. I vote for Edward !! 5 stars for Ed… He is Best of the Best!! Edward’s love for music shines through in every note he plays!! No one plays Floyd like him. He is a pure eargasam performer. Edward rocks the SL world.. there’s no other artist like him. Edward is the best and Yesssss we vote for him.Seen him liove playing for SL and he puts his heart and soul into his playing. Edward is one of the most talented musicians I’ve seen in SL. He puts everything he has into every show. He is definitely one of the Best of the Best!! I’ve been around SL for quite a time and I’ve had the pleasure of attending many of Ed’s shows. I’ve not seen any other artist work as hard at developing their personal style, musicianship and the content and quality of each performance for both his own and his fans’ satisfaction. The consistently high audiences at his shows reflects a reciprocal response to Ed’s own sincere dedication and commitment to his fans and their enjoyment. On stage, Ed comes across as an incredibly nice, unpretentious guy, who is not afraid to speak his mind. He is a consummate musician, who, conscious of playing several times a night always varies his content to offer a fresh program, he rarely cancels, always gives full value for his Lindens and his fans adore him for it and quite rightly so. This is probably the most objective and therefore powerful testament there could be to Ed Kyomoon’s true talent as an entertainer and his integral role in the Second Life music scene. I can’t claim to call him a friend, but I know Ed in passing and I can say he is extremely approachable, is always attentive to one’s presence, is self-effacing and gracious in acceptance of any compliment and will at all times find a few minutes in which to pass the time of day with you. 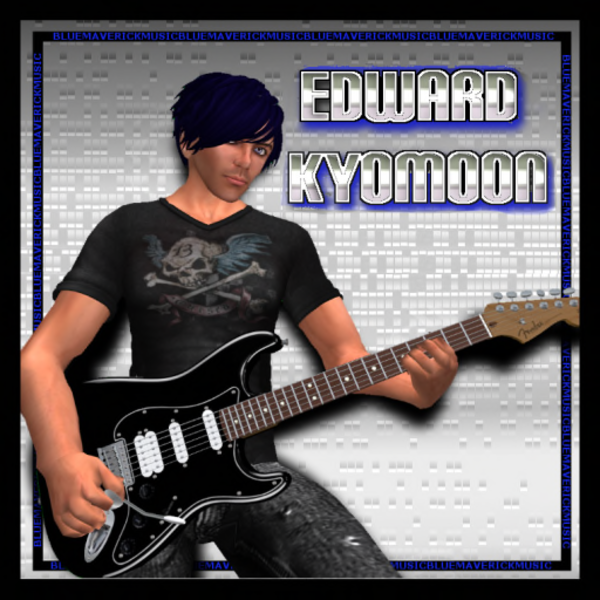 In my opinion, Edward Kyomoon is worth any and every accolade that comes his way because he is a professional, seeking always to improve himself and his music and above all, both as a person and an entertainer intent on never disappointing his incredibly fun-loving, boisterous and totally committed fans. er…sorry ’bout that, I’m sober again now. Yeah…what Carol said…lol Ohh! and I vote for Edward too!